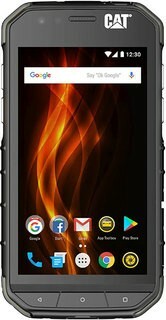 The Cat S41 rugged smartphone is designed for a particular field worker or adventuresome person and it is not for everyone. The CAT S31 is a solid smartphone whose main task is not to break. It achieves this in any case, but users have to do without demanding applications. If you're a self employed handy-person or extreme-sports enthusiast in need of a rugged smartphone, the CAT S41 is a great choice. Featuring a robust, albeit chunky build and offering excellent battery life and a pleasingly bloatware-free Android install, the CAT S41 is one of the best ruggedised phones to arrive this year. This is the first phone I've used that could actually be a contender for the slot in my pocket. Most days, I don't need anything this rugged, or with this much battery life, though. If your mileage varies, I recommend it! At $449.00, it's not a bad value. The Cat S41 is simply too expensive for what it offers. Your phone will be able to suffer multiple drops and will get amazing battery life, but you’ll have to suffer through average performance, a near-worthless camera, and boring design. If you're in need of a rugged smartphone that can withstand plenty of tough situations and take a little damage here and there, and has an IP68 rating against dust and water, then it's hard not to recommend this device. The Cat S41 is ideal for those who demand the utmost durability, at nearly half the cost of the Galaxy S8 Active. But the S41's camera and just average performance spoil the package. The Cat S41 has hit a sweet spot by going after an audience who will know about the brand, and are likely to request VAT refunds and look for a solid aftersales service – which similarly priced Chinese-sourced rivals won't be able to match on either count. The CAT S60 is not a phone for you and me. It's actually not a phone for most of us. It belongs to a niche market segment. We wish the regular market could have some of this ruggedness, or be at least 30% as rugged as this phone. For a rugged phone, the CAT S60 actually seems to be quite a device. If you are looking for a phone that can keep up with your rough and tumble lifestyle, there are hardly many phones that can compete with the CAT S60. It is currently in a class of its own. The CAT S60 is a tool. We can’t recommend anyone to buy this as a phone first. 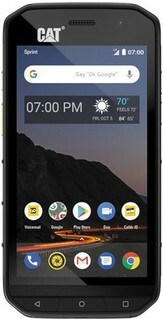 As a smartphone, the CAT S60 is grossly overpriced and over-engineered. You can get any current flagship smartphone within the same budget but then again, the CAT S60 isn’t just a smartphone. Not a tough phone, broke 2 screens and now are not available and bullit wants me to upgrade but they are not doing any better on price than online. Just bite the bullitt and buy a sonim xp7 as ihave done, 3 year warranty even on damage and proper tough. I only bought cat as at the time sonim had not released their smart phone. I hate this phone because it is crap. Screen Broken, now a useless paperweight. I broke mine too, found a place in europe that will fix it, but it's warranted for a year against broken glass, but you have to ship it to england, mines on its way home now. I also had trouble updating its firmware you? Visit the Caterpillar Q&A Forum to get answers, ask a question or help others.